I thought it might be fun to update this list on the first of every month. I'll be in Iowa, so will post a little early. Not as many changes as I'd like, but I'm okay with my quilting and knitting progress. 1. Quilt tree – I really need some focused time for this, and that is not happening right now. I'm keeping it on the list, though, because it is a high priority. 2. Bending the Rules still needs my attention. 3. Make one quilt for Camp Erin. Camp Erin is a bereavement camp for kids who have lost a family member. Each camper receives a quilt and teddy bear when they arrive. I'm going to use the Tiles pattern by Kim Brackett, found in her Scrap Basket Strips and Squares book. 1. Diamondback Socks have become a TOAD – trashed object abandoned in disgust. My troubleshooting skills for knitting are just not that great and I don't love them enough to start over, so I've got another skein of yarn to add to the stash. This year is all about enjoying the process. That didn't happen with these socks. 2. Oblique Scarf – finished and needs blocking. 2. Tilted Texture shawl. My plan is to save this for knitting on the plane. 3. 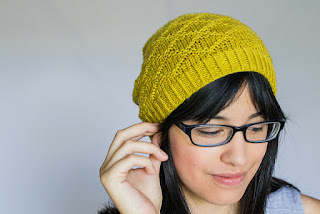 Continue knitting hats for charity. I'm using up sock yarn much faster than I do when making socks, that's for sure! Update: After writing this post, I realized I needed to take a day and just get something d-o-n-e! One Camp Erin quilt is cut out and ready to go and Bending the Rules is cut out as well. It's beginning to look like my February is going to involve more travel than sewing, but I'll be ready for March. I've got so many projects and irons in the fire (pun intended) that I needed to take some time to organize. On my design wall today is the Stars Upon Stars block of the month. I knew when I started this that it would have to go on a back burner. What I've learned, however, is that some projects don't work nearly as well if you don't keep up somewhat. That is the case with this project. I originally kept everything together by month. While that would normally make sense, it just furthered my state of confusion every time I tried to start over. New plan. There aren't that many "blocks" to this quilt – 7 to be exact, so now I'm grouping each unfinished item in its own little bag. For example, last month I needed to complete a whole star block and three sashings. I've cut the 1'' strips I need to make star points, sewn them together into 1-2-3-4-5 and 5-6-7-8-9 order to keep them straight, and set them aside for when I have more time. Next I've cut all the small stars that go in the blocks and all of the background. Into a bag it goes with a label. Once I finish it, it can go in the box with the other finished parts (of which there is ONE!). 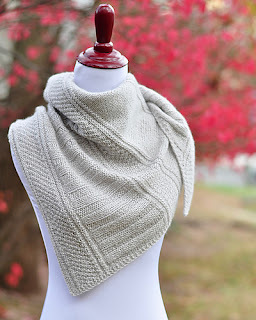 I'm still on the fence about the outer edges of my sashings... whether I want a variety of light grey, one shirting print, or a variety of lights that include greys. I've decided not to decide until more blocks are complete and I can lay them all out. For now, I'm just cutting the pink center and the dark that frames it. I really wanted to get this project finished in time for our guild show in October. I talked to the shop owner about sending me two months at a time, but with the current delays in getting one month sent to me, I just don't see that happening. That's okay, it will certainly be finished for the October 2019 show. J My other option, of course, is to just use my own fabric and add the monthly BOM fabric to my stash as it arrives. Not quite as appealing. 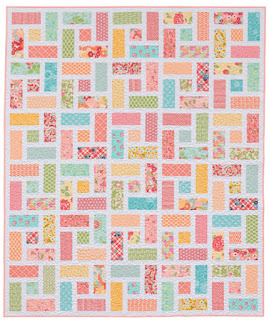 Or, option #3 is to use my own fabric and design a quilt that would use the fabric sent every month. Now that one has some merit! Here's my bit of cutting and sewing for today. This is the next star to get cut and ready. Wish me luck. 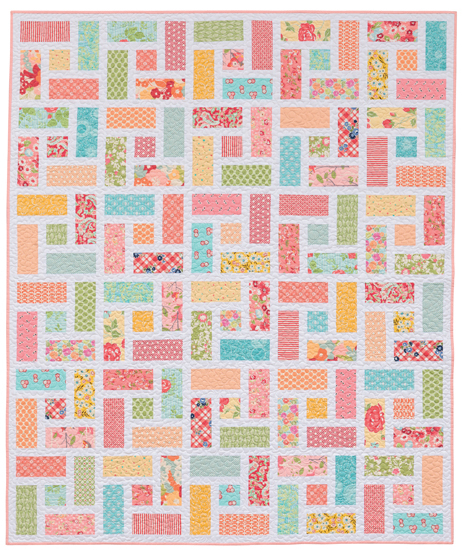 To see more design wall goodness, head over to Patchwork Times. In an effort to keep my quilting and knitting projects moving forward, I've decided to choose just three of each to complete or start. I've written their names on the whiteboard next to my sewing machine to help me focus. 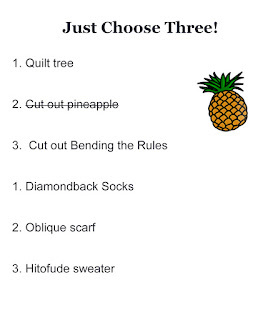 My quilts are easy – I need to quilt my tree quilt soon, cut out my pineapple quilt, and cut out my newest pattern, Bending the Rules. This list is separate from my UFO list as these are projects that have more urgency. Pineapple quilt all cut -- the design is a surprise! For knitting, I want to finish my Diamondback Socks, my Oblique Scarf, and start on my Hitofude Cardigan. I put off making this pattern because I wanted to wait until I lost more weight, but it is so flowy I think it will be just fine to make now. It doesn’t use standard measurements for fit, so I should be okay. Now, just because I put these up as the first three of each doesn’t mean that’s where they’ll stay. For example, once I cut out the pineapple blocks, I don’t really intend to just stop and sew all 80 blocks. I want these to be my “travel project” for when I’m at retreat, or Sewing Saturday events, etc. They’re pretty mindless, so chaining these while sewing with friends is perfect. Once I get these cut, I’ll put a line through them and add another project to the list. Pattern writing doesn’t stay on this list, it stays downstairs next to my computer. J The knitting list stays upstairs to remind me of my evening knitting. I’m going to work hard in 2017 to stop my “work” by 7 pm and starting in on knitting instead. I don’t have any gift knitting planned for 2017 with the exception of two teddy bear outfits to go with Camp Erin quilts and charity hat making. When you work from home, it’s easy to stop and do laundry, cooking, and taking care of other obligations. Unfortunately, it’s also a distraction from getting my quilt business work completed. Thus, the sometimes late evenings and no real relaxation. That’s going to change! I think about how much I accomplished when I was working full time and raising kids and feel a bit like a slacker sometimes. J I think a bit more structure will help this year. How do you get your work accomplished, your home life taken care of, and some relaxation thrown in?